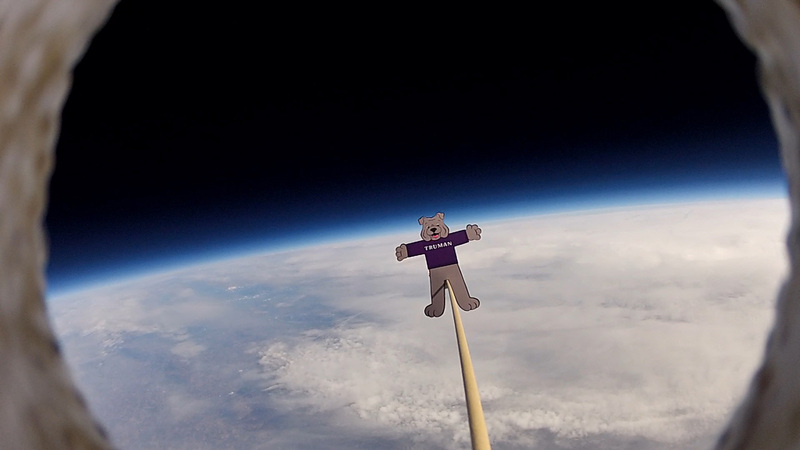 On March 14, Flat Spike boarded HAB_0, a helium filled high-altitude balloon built by alumni Dustin Mayfield-Jones (’09), Huan Truong (’11) and Truman professor Donald Bindner (’92). Launched from a baseball diamond in Damiansville, Ill., at a little after 11 a.m. HAB_0 lifted off and began the climb into a region of the atmosphere known as near space. Over the course of its two-and-a-half-hour flight, HAB_0 reached heights of more than 100,000 feet while collecting information about temperature, wind layers and oxidizing gas. The views were an added bonus. The crew hopes to use this first launch as a test drive to gain skills for future projects. They also want to collaborate with schools for future launches to build an interest in science and encourage the study of atmospheric science, software development and electrical engineering. Watch video from Flat Spike’s adventure into near space at youtube.com/watch?v=LzWCjUgFxSw. To get a Flat Spike, visit truman.edu/alumni-donors/alumni-resources/flat-spike or contact the Alumni Relations Office at (800) 452-6678. 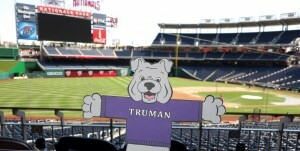 Find more of Flat Spike’s adventures on his Facebook page at facebook.com/TrumanFlatSpike. This entry was posted on June 8, 2015 by kbest. Since his debut in 2014, Flat Spike has been just about everywhere. He’s been to Cinderella’s castle in Walt Disney World, put his paws in the sand at Montego Bay and even sang with the Mark Twain Chorale International in Ireland. All of us at Truman cannot wait to see where this adventurous pup ends up next. 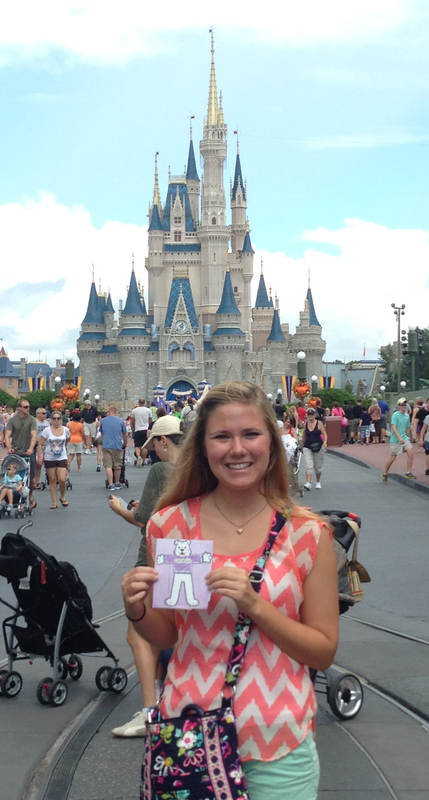 Interested in taking Flat Spike along on your travels? 1. Cut out Flat Spike and color/design him any way you like. 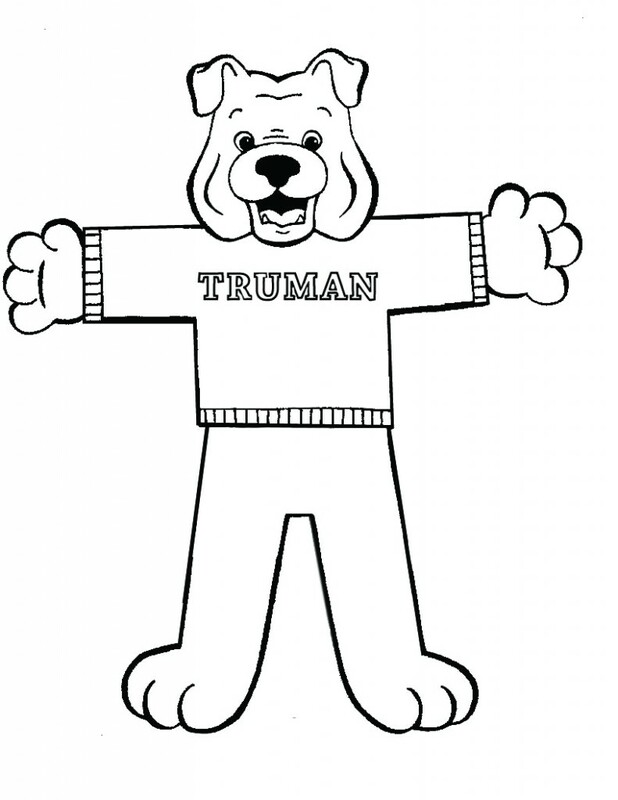 You can also contact the Office of Advancement at bulldogforever2@truman.edu for an official Flat Spike. 2. Take Flat Spike somewhere cool. Show him somewhere awesome in the places you live. Take him on a family trip. Wherever you want to go, this loyal bulldog is sure to follow. 3. 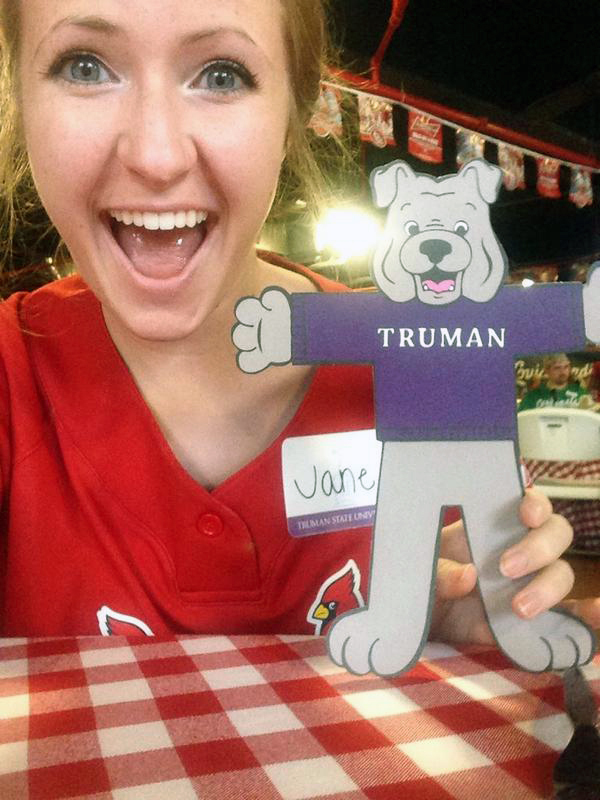 Take a picture and email it to bulldogforever2@truman.edu, tweet it to @TrumanAlumni, use the hashtag #SpikeSelfie, or mail it to the Office of Advancement, 100 E. Normal Ave., Kirksville, MO 63501. Be sure to include your name and where Flat Spike is. 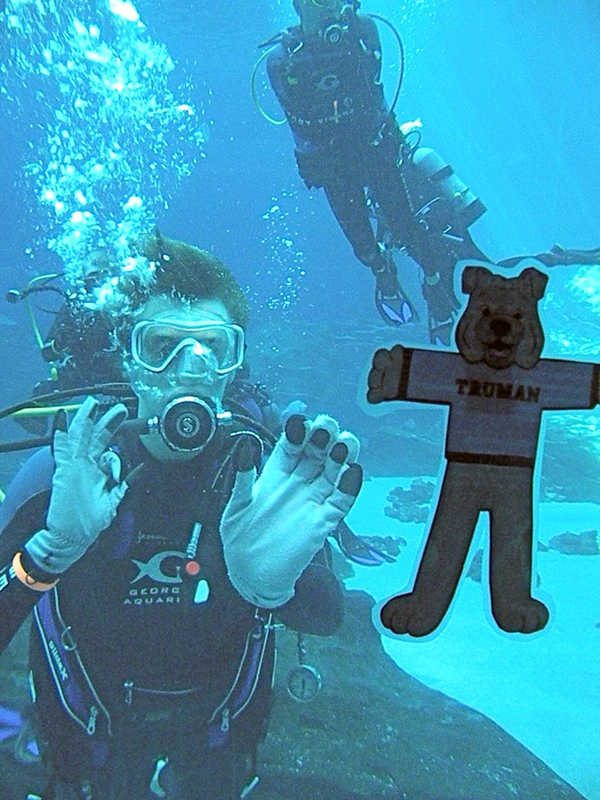 Now you can show off your Truman spirit wherever you go. All of Flat Spike’s adventures can be found on his Facebook page, fb.com/TrumanFlatSpike. Student Jason Bladow took Flat Spike to the Georgia Aquarium in Atlanta during midterm break. 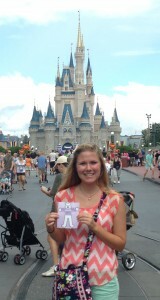 Flat Spike has become quite the world traveler! He’s been to Costa Rica, watched a Nationals game in D.C., and even helped put together care packages at the Iowa Alumni Chapter’s Palonza night. What will he do next? That’s up to his fellow Bulldogs. Cut out Flat Spike and color/design him any way you like. If you’re lacking artistic genius, no problem. 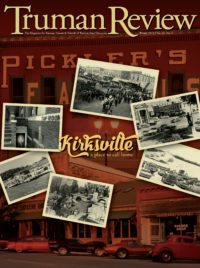 Just print out the color copy at alumni.truman.edu/FlatSpike.asp. Take Flat Spike somewhere cool! Show him somewhere awesome in the places you live. Take him on a family trip. Wherever you want to go, this loyal Bulldog is sure to follow. Take a picture and email it to bulldogforever2@truman.edu, tweet it to @TrumanAlumni or mail it to the Truman Advancement Office. 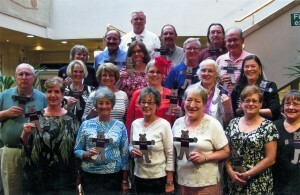 Be sure to include your name, address, if you’re in an alumni chapter and where Flat Spike is. We’re going to track this guy’s travels and the alumni chapter with the most photos will win a special prize at the end of the year! School teachers: Flat Spike really likes kids, and his buddy Stanley is getting a little tired. Send him out on your students’ travels! Any friend of Flat Spike’s is a friend of Truman. 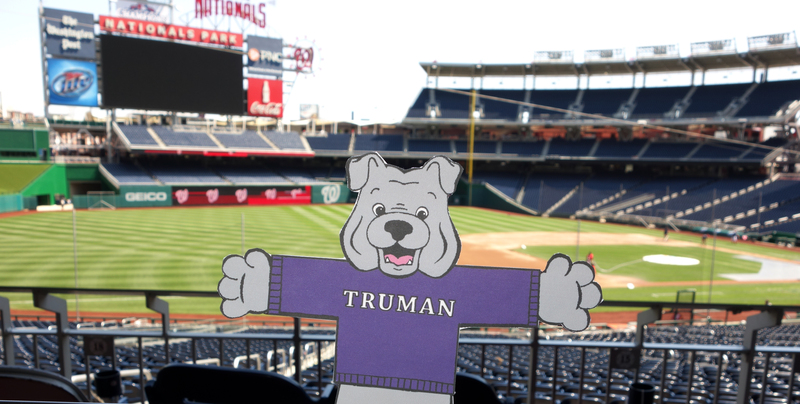 Stephen Randall Roberts (’68, ’71) found Flat Spike at the ballpark in Washington, D.C.
Not only could you win some Truman swag, but now you can show off your Truman spirit wherever you go (he makes a pretty great travel buddy). 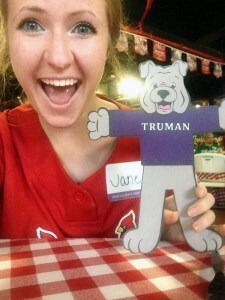 All of Flat Spike’s adventures can be found on his Facebook page, facebook.com/TrumanFlatSpike. This entry was posted on June 5, 2014 by kbest. Remember Spike? Of course you do, you are both Truman Bulldogs, after all. This curious pup wants to know what Truman alumni are up to, meet some future Bulldogs and see the amazing places you go to! • Cut out Flat Spike and color/design him any way you like. If you’re lacking artistic genius, no problem. Head to alumni.truman.edu and print off the color copy. • Take Flat Spike on vacation or to interesting locations where you live. Take him on a family trip (he’s slightly afraid of flying, but we’re confident he’ll get over it). Wherever you want to go, this loyal Bulldog is sure to follow. • Take a picture and email it to bulldogforever2@truman.edu, tweet it to @TrumanAlumni, or mail it to the Truman Advancement Office. 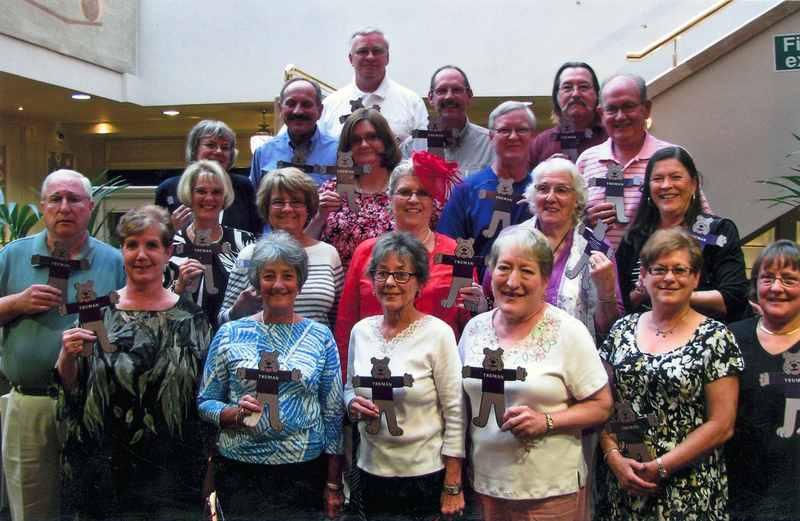 Be sure to include your name, address, if you’re in an alumni chapter, and where Flat Spike is. • We’re going to track this guy’s travels and the alumni chapter with the most submissions will win a special prize at the end of the year!